Everything seemed to be going downhill in my life and sometimes the littlest things can make matters even worse. We had a bright young Science teacher, called Mr. Schumacher. I hadn’t been in the school that long but already I knew that he would have all sorts of discussions at the end of a class which didn’t have anything to do with the topic of the day, but which were to make us link science to other things in life; ask questions about things which we took for granted. I think this is what made ‘bear’ stand out and started the meanness. Of course, I think mean students have to be bored out of their skulls, as well as have low self-esteem – according to Sister. First, Chuck, otherwise known as Chunkie Bear, had not gone to Seattle after all. And secondly, I should definitely know how it started because I was in the school yard. Simply Red had just come through the big double doors at the front of the school building. I waved so she’d see me. Chunkie Bear was walking across the yard, head down, as he often did. He was about to pass a group of boys when somebody tripped him, I’m sure. I don’t know how I know that, but I know. He stumbled, but he did not fall down. There was laughter from the boys. Somebody else said, “Wow! Aren’t bears supposed to be hibernating soon? He’s asleep!” More laughter. The boys were now laughing so hard they were holding onto each other for support. I know girls can laugh at silly things but boys being silly surpasses anything we could ever do. Suddenly Chuck turned around and went at the boy with all his force. He got him in the middle, and the boy, taken by surprise, was on the ground. Chuck was on top of him. The other boys, after a moment of disbelief, joined the group. I couldn’t see if they were trying to separate them or if they were attacking Chuck. Out of the corner of my eye I saw Simply Red appear to leap from the top of the steps as if she were going to fly, and then she seemed to be transported right across the yard as if her feet never touched the ground. She hurled herself into the mass of flying legs and fists. Students came running from all corners of the school yard, swirling around madly, like leaves picked up in a whirlwind and suddenly dropped abruptly. I stood rooted to the spot, and then I, too, flew towards the group. If Simply Red needed to save Chuck, then I needed to save them. They were my friends! By the time I reached the huddle of bodies, I was crying, not knowing what to do. For a split second I saw a misplaced flying punch coming my way. Then suddenly I was pulled backwards and out of harm’s way by unknown arms. 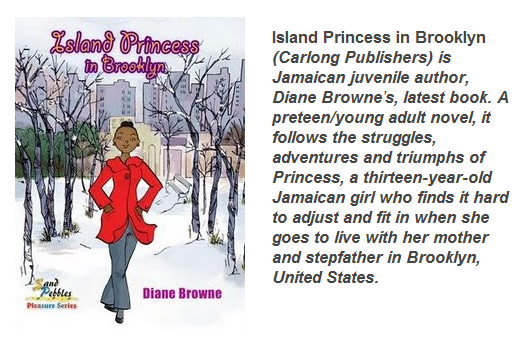 Diane Browne is a teacher, publisher, editor and award-winning children's author from Jamaica. She was awarded the 2004 Bronze Musgrave Medal for Children’s Literature by the Institute of Jamaica. 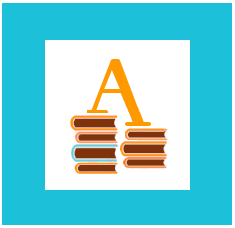 Her children's books include Every Little Thing Will Be All Right, The Ring and the Roaring Water, A Tumbling World ... A Time of Fire, Cordelia Finds Fame and Fortune and more. Her books have been published by Heinemann Caribbean; Carlong Publishers; Arawak Publications; the Ministry of Education, Jamaica and internationally by Ginn (UK), Harcourt (USA), and Friendship Press (USA). I just started reading this novel and it's just great! Excellent for diasporic teenagers dealing with dilemmas of identity-simple yet meaningful.